Up until the final turn at the men’s Wanamaker Mile of yesterday’s Millrose Games, the professional distance running events offered thrills galore but nothing unanticipated: the coronation of Mary Cain, the victories by Kim Conley, Bernard Lagat, and Ajee Wilson, even Frenchman Pierre Bosse’s victory in the 1,000m over the record-seeking Americans made sense in light of Bosse’s credentials. Notwithstanding that the ages of victors ranged from 17 to 39, none of the results left one asking: How did that happen? And then came the move of the meet. At that final bend, Nick Willis prepared to strike. Lawi Lalang’s arms and legs shot out as he tried to hold off the Olympic silver medalist’s path, and the race seemed to hinge on whether Willis could pass on the inside, a particularly tall order on an indoor track with its tight turn and short straightaway. 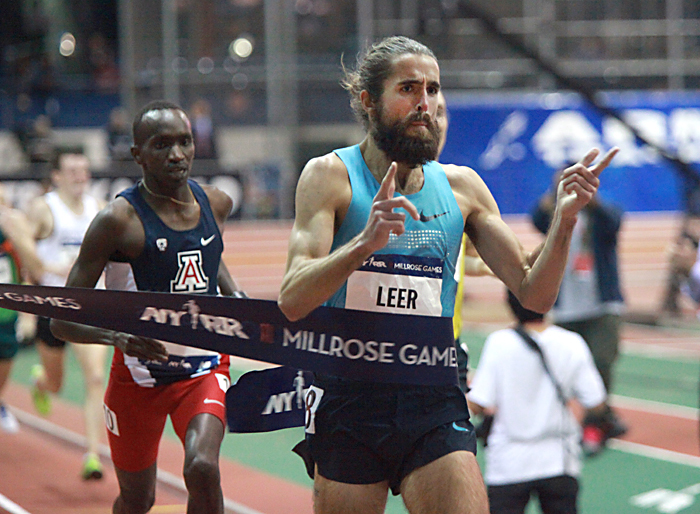 As the two tussled, fans in the American cathedral of indoor track and field rocked at the recognition that freshly bearded Will Leer was bolting past on the outside for the win. So precocious is Mary Cain that one might question why, in this her second shot at the Wanamaker Mile, it took her this long to break the tape. Couldn’t she have done it last year, when she was 16? Of course that’s ridiculous, but what are we supposed to do with expectations for the future now that she’s accomplished all she has already? Her race was never as close as it appeared, as she ran from the front and none of the women was likely to match her kick. Bernard Lagat, 39, was just as sharp at this year’s Millrose Games in breaking the American indoor 2,000m record as he was at last year’s meet in setting the American 2-mile record (since broken by Galen Rupp) and at the meet the year prior in setting the American indoor 5,000m record (since broken by Rupp). Next year, might Rupp try to erase the 2,000m record as well? 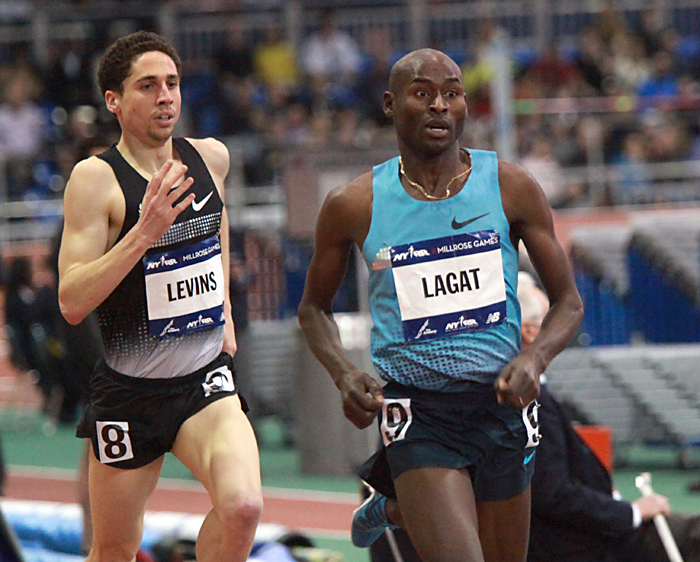 Lagat held off a dramatic late challenge from Rupp’s teammate Cam Levins, who had actually outlasted Rupp in one of Nike Oregon Project’s recent post-race workouts. After the meet Levins was left wondering whether he had broken the Canadian record, or whether a Canadian record for an indoor 2,000m run even exists. That Lagat continues to train at a level to make these performances possible is a gift to the sport. All photos by Andy Kiss. 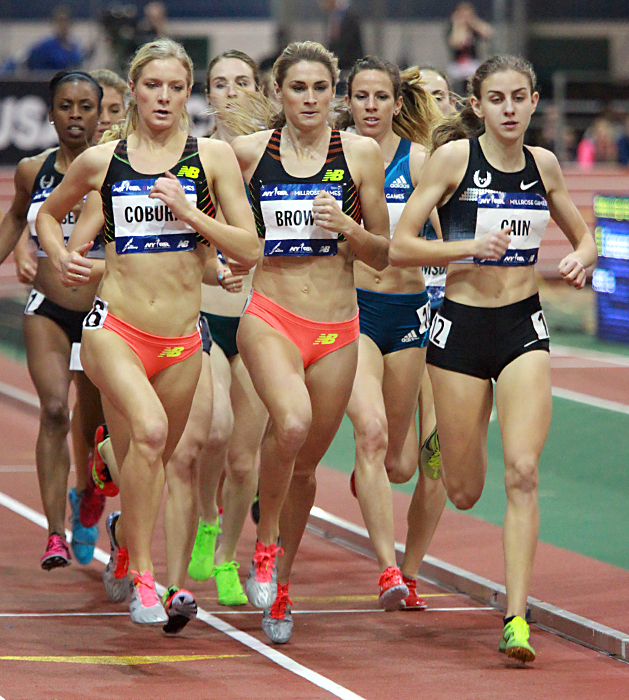 See our full gallery of photos from the 2014 Millrose Games.